The biggest of the seven emirates making up the United Arab Emirates, the Emirate of Abu Dhabi impresses with innovative architecture, groundbreaking malls, 4D theaters, and tourist resorts offering every amenity under the sun. Beneath all the superlatives, a holiday in the Emirate of Abu Dhabi reveals what makes this nation tick--in vibrant markets, sophisticated museums, sheesha cafes, and developed coastal areas. With about 1.5 million people, the eponymous city of Abu Dhabi is marked by a multicultural society, continuing to draw both new residents and tourists with its modern outlook and an unstoppable desire to keep improving its challenging desert surroundings. 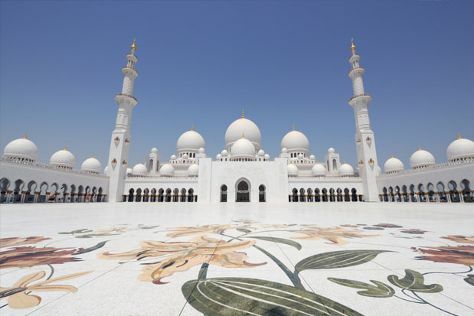 Emirate of Abu Dhabi is in United Arab Emirates. Make your own Emirate of Abu Dhabi vacation itinerary, with a little help from those that know the place like the back of their hands, by using our United Arab Emirates online road trip planner .